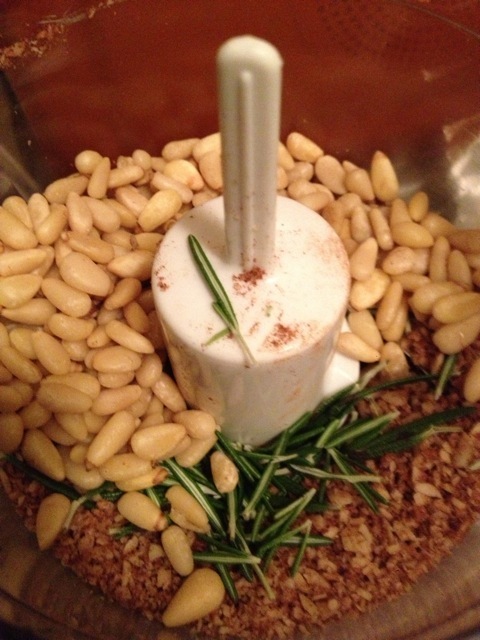 Grind together 1/2 tsp cinnamon, the almond and pine nuts, and the minced rosemary. 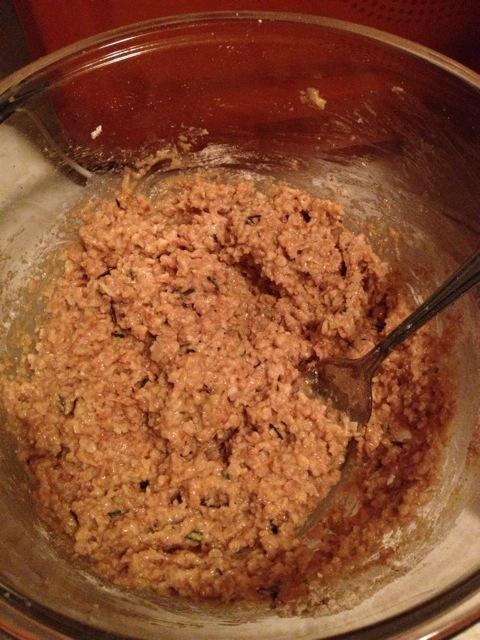 Mix with wine (or grape juice concentrate). 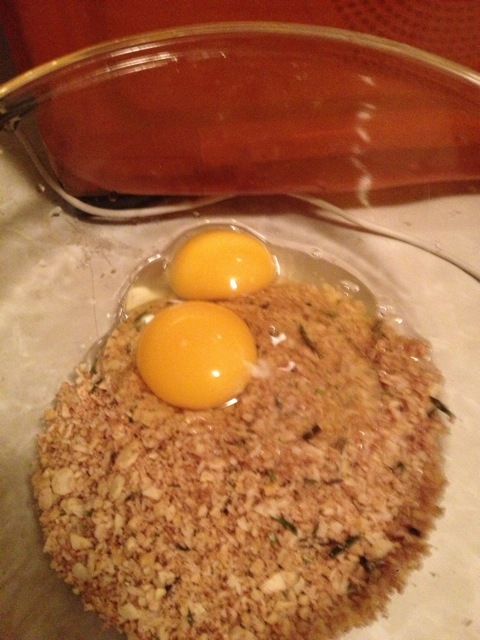 Whisk the eggs and mix them well with the flour to form a porridge. 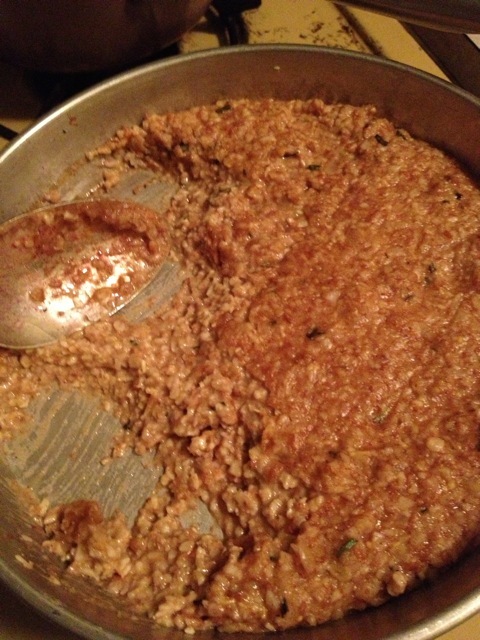 Scald (but do not boil) the milk over a moderate flame; remove from heat and allow to cool a minute. 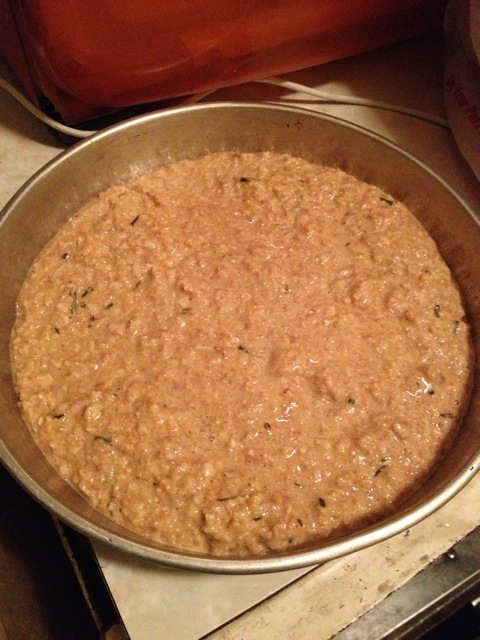 Mix milk into the batter, then spread batter out in a flat, lightly oiled pan. 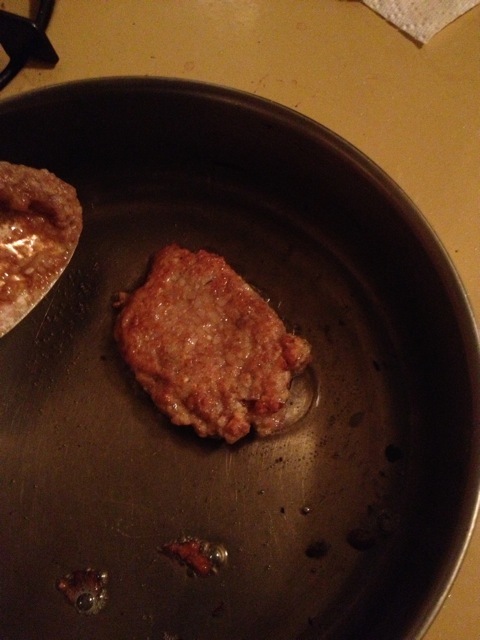 When cool, spoon out bite-size pieces and pan-fry them in high-quality oil (the oil should be hot enough that the dough immediately begins to fry when dropped into the pan, but should not be allowed to smoke/burn). Fry to a dark golden brown. 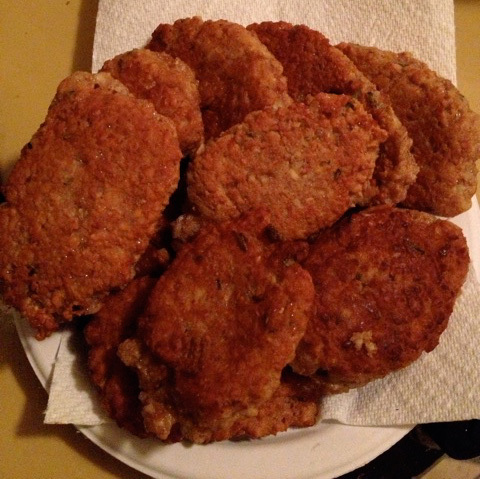 Drain the excess oil off by placing each fried piece on a cloth. 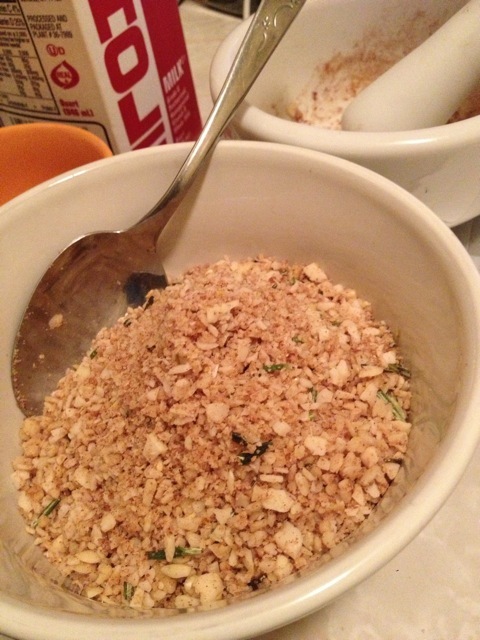 Drizzle with plenty of honey, sprinkle with plenty of cinnamon, and serve warm.